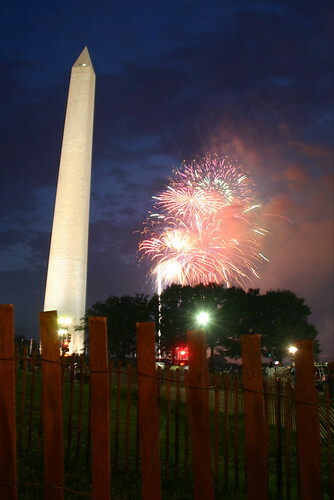 PoPville » Dear PoP – Can You See Fireworks on the Mall From Bloomingdale? Dear PoP – Can You See Fireworks on the Mall From Bloomingdale? Fireworks on the National Mall in Washington DC, originally uploaded by Pak Gwei. I’ve got a question I think only you or your readers would be able to answer, could you help me out? Does anyone know if I’ll be able to see the July 4th fireworks from my roof in Bloomingdale? You can see the Monument and a bit of the Capitol through the trees but I’m not sure if the show would be visible. Anyone know for sure? If I had to guess I’d say yes. But I’m sure some Bloomingdale folks can give a more accurate answer. Have fun and Happy Fourth to all!